← Milk Duds, what’s with the name? If you have been on this blog before, you know that I am just a bit obsessed with candy. I am not a candy snob, note my love of candy corn. However, my candy obsession has its limits and here is where the love stops. Please note, I admire anyone who makes candy, these are just not my taste. Necco wafers: Yes, I know that some people love these dry, flour covered disks, but really, what is the hook? 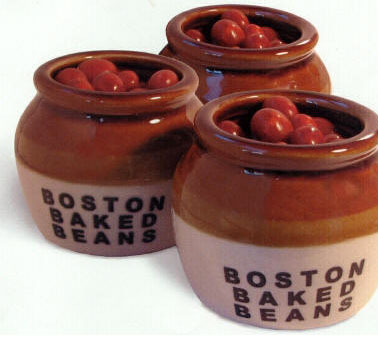 There’s no flavor, and they seem stale even when they are fresh. They have a long and proud history, and the redeeming feature is that they make great roof tiles for your gingerbread house. 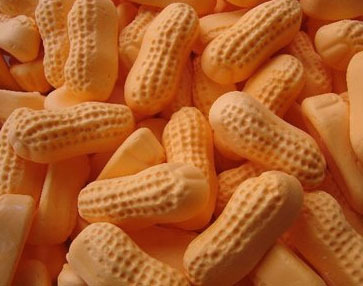 Circus Peanuts: Peanut shaped marshmallow type candy that tastes like…wait for it…banana?! I can eat 2 of these before the gag reflex kicks in. Lore has it that these were the foundation for Lucky Charms. Check it out on wikipedia. 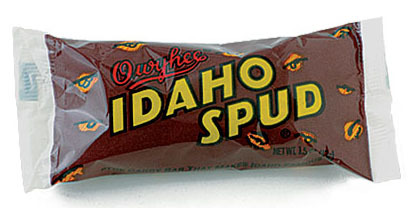 Idaho Spud Bars: Ok, I’m from the potato state and darn proud of it, but these could be so much better. Hey, Owyhee candy company, call me, we’ll talk. Wax soda bottles: How did anyone come up with this? “Let’s put sugar syrup inside a wax bottle that can be chewed as a digestif?” really? 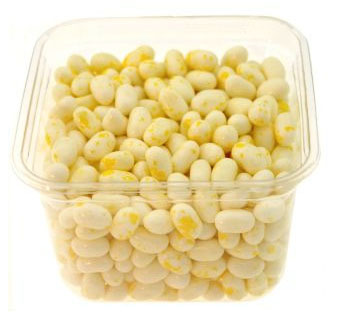 Hot Buttered Popcorn Jelly Bellies: I truly love Jelly Bellies, but savory candy is a sin against God and nature. 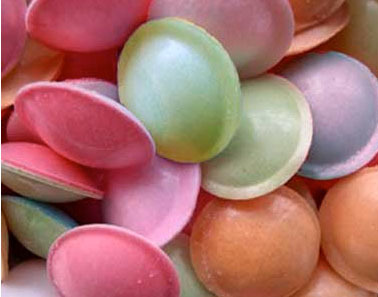 Flying saucers: Are the saucers edible, or are they like their wax bottle cousins? The bb’s inside surely can’t be considered candy. I think they are left overs from the bean bag chair craze. 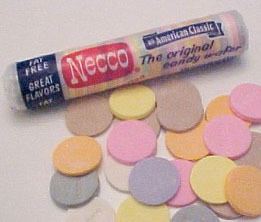 Candy Buttons: No big surprise here, these are made by Necco, and they are just as yummy as the wafers, except you get some paper to ingest along with the stale sugar. Sugar Daddy: Honestly now, who buys these? 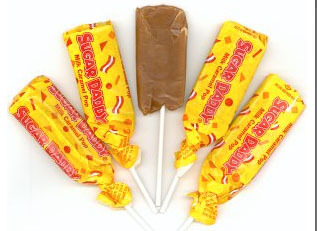 If you are looking for rock-hard caramel lolly pops, with a delightful burnt sugar flavor, these are for you. Just don’t bite into one unless you have met your dental deductible. Some sadist has created super-size ones perfect for pulling out all baby teeth at once. Coconut Neopolitans: Eeew and more eeeeeew. 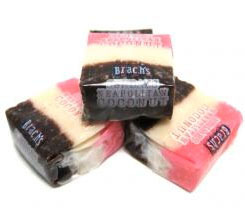 I love coconut, and I love Brach’s, but these are beyond the pale in color, flavor and texture. I dare you to eat more than one. I know I seem a tad grumpy in this post, but all candy is not created equal. However, if you enjoy these candies, more power to ya, and you’ll never have to worry about me asking to share your stash! Now I will have a Junior Mint or two and relax. Posted in Childhood memories. Bookmark the permalink.